The idea of citizenship is widely used in daily life. `Citizenship tests' are used to determine who can inhabit a country; `citizen charters' have been used to prescribe levels of service provision; `citizens' juries' are used in planning or policy enquiries; `citizenship' lessons are taught in schools; youth organisations attempt often aim to instil `good' citizenship; `active citizens' are encouraged to contribute voluntary effort to their local communities and campaigners may use `citizens' rights' to achieve their goals. What is meant by citizenship is never static and the subject of debate by academics, politicians and activists. These ideas are manifest and contested at a range of different scales. This book therefore argues geography is crucial to understanding citizenship. The text is organised around a number of spatial themes to examine how spatialities of citizenship are played out at a range of scales. Ideas about locality, boundaries, mobility, networks, rurality and globalisation are used to reveal the importance of space and place in the constitution, contestation and performance of citizenship. 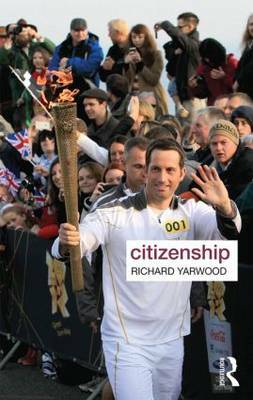 In doing so, the book reveals how different ideas of citizenship can include or exclude people from society and space. Consideration is given to ways in which different groups have sought to empower themselves through various actions associated with and beyond conventional notions of citizenship. Written in an accessible way with detailed case studies to illustrate conceptual ideas and approaches, this book offers social scientists new spatial perspectives on citizenship while also bridging together strands of social, cultural and political geography in ways that deepen understandings of people and place.